LOS ANGELES, CA: Julian Construction (www.julianconstruction.com), a foundation repair and replacement company serving the greater Los Angeles area, is informing the public of three different methods of underpinning a building. Underpinning is defined as a method used to increase a building’s foundation depth or repair faulty foundations. According to Julian Construction, there are three primary methods of underpinning which can be used in order to repair foundations that are faulty and/or that need an increased depth for greater stability. Underpinning is extremely useful when there are cracks appearing in a foundation. An extremely common method of underpinning is the mass pour method. This can be accomplished by excavating small sections beneath the current foundation and pouring concrete into each hole. This action is repeated several times to cover the entire area that is underpinned. Another method is to use brackets and screw piles to underpin. This method makes the foundation able to withstand strong lateral and vertical winds, as well as the shaking the wind can cause to buildings. Not only is it fast to install, noise of vibration caused by wind will be decreased. This option requires a min-pile installed in on both sides of the wall which is affected. When the piles are installed the brickwork can be taken out underneath the wall and then it will be reinforced with a particular needle beam that will support the wall by connecting the piles together. This is the preferred method because it’s quicker than underpinning under restricted access, causes smaller amount of disruption, as well as handles a large load capacity. “Underpinning is often a very needed and effective method of handling home foundation problems. Which method is most advisable depends on a number of factors. 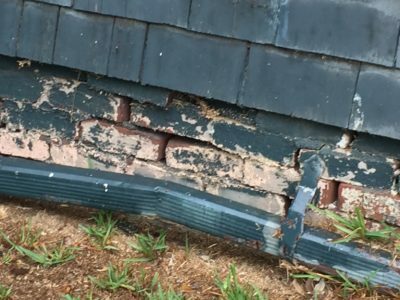 That’s why it’s important to get a foundation inspection by a knowledgeable foundation repair specialist, if you suspect any problems with your foundation,” said Julian Construction founder Julian De La Torre. Julian Construction has done more foundation repair in Los Angeles than any other company in the area over the last five years. Julian owns its own company and is built on a “no middlemen” model – no salesmen, no subcontractors. When you work with Julian Construction you get the principals of the company and workers of Julian Construction under your home. The result is the highest quality work at affordable prices. They can be contacted by phone at 323-733-3377, by fax at 323-733-4477 or via their website, www.julianconstruction.com. You can see tips and advice about home foundations on their blog. Find out how easy we make it to get started.